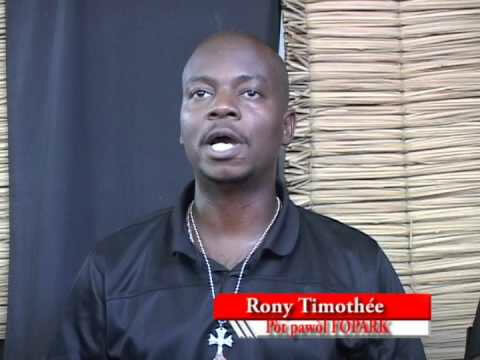 Here is a picture of Rony Thimothée, spokesman of the FOPARK. The opponent of the government of Michel Martelly and spokesman of the FOPARK received his arrest on Saturday, close to the International Airport Toussaint Louverture. Rony Timothee as arrested as he was in a car. According to sources, he was presented in front of a judge and the taken to Jail in Petion-Ville. Based on information released to the press by inspector Garry Desrosiers, Haiti National Police was actively looking for Mr. Rony Timothee as a warrant was issued against him. He has been accused for disturbing public order and vehicles fire on April 28. Also it was reported that following the violent protest of May 14, several individuals who had been victimized complained to the Police.